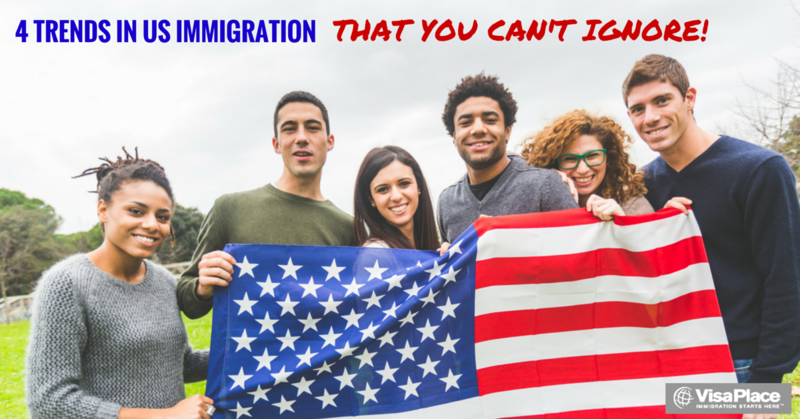 Have you always liked the idea of immigrating to the United States but haven’t yet taken the necessary steps to start the journey? Perhaps you’ve already applied, or have family members living there. The Congressional Research Service (CRS) recently published a report on US immigration policy, which highlighted some surprising key trends that we’re going to share with you below. From the CRS’s recently published Chart Book of Key Trends (December 2014), we highlight four interesting trends that are worth considering before you immigrate to the US. We’re currently seeing a huge peak in US immigration, with levels comparable to the boom-period of the early 20th century. In fact, the United States has never before welcomed so many immigrants to its shores. With such high demand, and LPRs (legal permanent residents) at their highest level in recorded history, now is the time to submit your application to immigrate to the US. This is in fact a very attainable way of immigrating to the United States, and more popular than many people think. So if you already have family members living in America, there is a very good chance your application could be accepted. The United States has taken a firmer stance on unlawful employment in recent years, and is cracking down on employers who do not take the right steps when employing foreign workers. If you’ve been offered a job in the US, you must ensure your employer goes through all the official channels, rather than paying you illegally. Many employers still do this, but it is unacceptable in the eyes of the law, and you could lose your job and even be deported. Efforts to catch and deport illegal immigrants, especially children, have increased significantly in recent years, which is why immigrating the legal way has never been so important. If you choose to enter the US illegally, you will run the risk of deportation, which could potentially have devastating results for you and your family. Don’t take the risk; always apply through the official channels – trust us, it’s worth the wait. Thousands of people come to the United States each year to visit, work, and live. While America is known as the Land of Opportunity, in order to visit or eventually move to the U.S., an individual will need to obtain a valid visa. With so many different U.S. immigration needs, and with so many people vying for U.S. visas each year, legal help is what can make the difference between a successful application and a rejected bid. This is where the over 30 years of combined experience of VisaPlace’s legal team can help. For any kind of visa you need, our lawyers can guide you through the best practices in order to reach your potential for success. Whether you have a family member in the US, a job offer, or any other situation, let us ensure that you are properly prepared for immigration. To get you started, please fill our free eligibility assessment form or contact us here to speak to one of our US immigration experts.